At only ten minutes from the terminal, the Bishops Stortford Travelodge is absolutely ideal for convenience whilst being one of the best value hotels near Stansted Airport. Renowned for being great value-for-money, Travelodge Hotels offer everything you need for a comfortable nights sleep and the Travelodge Bishops Stortford is certainly no exception. The hotel is surrounded by tranquil gardens and woodlands, creating a perfect calm environment for you to start your holiday. The rooms are clean, crisp and comfortable and although they are not packed full of amenities, you are guaranteed to have a great nights sleep before your trip. The great prices don't just stop at the rooms with this Stansted airport hotel. A major bonus is the Cafe Bar. Serving up delicious, traditional dishes at prices you won't quite believe. All of our Travelodge hotels prove to be popular and our newest addition at Stansted certainly won't disappoint. With the wood-panelled reception and super friendly staff, the hotel feels more like a family-run bed and breakfast than a well known hotel. With the savings you will make on your room and your pre-holiday food and drink, you can guarantee the Travelodge Stansted will ensure you start your holiday relaxed and well fed. Hotel a bit isolated - couldnâ€t go for a walk to stretch our legs after a long drive down. We were told all the rooms had showers, not baths, but our room had a shower over the bath and I have arthritis so difficult to get in and out of bath. Dining room and bar were cafeteria-style, so not very comfortable. On the plus side - the room was spacious, clean and warm and the bed was very comfortable. Staff were very friendly and helpful. Parking - Number plate not recognised on entry - needed to buzz for help. Number plate not recognised on exit. Barrier would not lift. Tried putting ticket in and was told I needed to pay £360 for a prepaid parking !! Buzzed for help again and fee cancelled and barrier raised. Hopefully I will not be charged £360. Not the best experience as problems with parking on entry and departure but parking itself fine and airport bus efficient. Hotel room - bed comfortable and clean but bathroom shabby with brown marks that looked suspicious. Carpet in bedroom also looked dirty with possibly sawdust near the bathroom door. Furniture and fittings looked shabby but the bed was fine so I got a much needed rest after a long journey. Breakfast good and staff friendly. Clean room and bathroom and comfy bed. Breakfast was much better this time. Just a note to some people. There are signs about making noise in the hallways for a reason, letting your children run around shouting and playing at 11.45pm is very selfish. Our customers rated Travelodge Bishops Stortford on average 8/10 (70 reviews). Read Travelodge Bishops Stortford reviews. Value-for-money - There is no denying that Travelodge Hotels offer staggeringly low prices. The Travelodge at Stansted Airport is a great way of saving on pre-holiday costs whilst still allowing yourself to arrive at the airport relaxed and refreshed. The low prices continue into the Cafe Bar, serving up delicious dishes and thirst-quenching drinks at prices that won't break the bank. Convenience - As well as offering fantastic prices, the hotel's location provides the convenience that you're after. At only 10 minutes from Stansted Airport, you can wake up knowing you haven't got a gruelling long journey with the worry of traffic. You can park in the hotel's car park for free during your stay and when your room is teamed with ourLong Stay parking deal, you simply drive to the Long Stay car park the morning of your flight, park up and hop on the free transfer bus to the terminal doors. When you return your car will be in the exact same place as you left it. 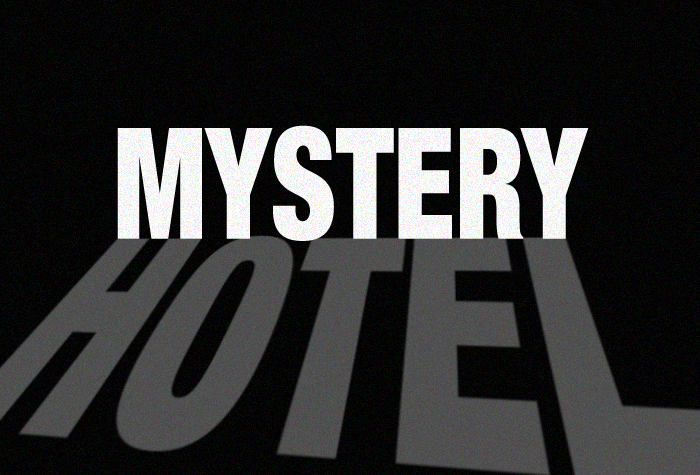 Save 37% on average by booking this hotel as a mystery package - you just wont know which hotel it is until you book! Less than 3 miles from the airport, a 3* hotel with great-value food. A taxi to the airport takes just 10 minutes and costs around £12 - £15. If youre travelling by train, the nearest station is Stansted Airport. Check in is from 3pm and check out is by 12 noon. Directions and a postcode for satnavs will be on your confirmation email. Rooms are simple, but comfortable and practical. Wifi is free for 30 minutes, or £3 for 24 hours. Guests recommend using 4G, if you have the data. Unfortunately this hotel does not have any accessible facilities. If you do require an accessible room, try one our other packages. The restaurant serves a great selection of pub classics, at affordable prices. You can enjoy two courses and a drink for less than £15. Breakfast is an English and continental buffet, served in the hotels restaurant. Its £8.95pp for a cooked breakfast, or £5.95pp for just continental. Plus, 2 kids under 16 eat free with a paying adult. Served from 7am - 10am on weekdays, or 8am - 11am at weekends. Disabled facilities This hotel does not have any accessible facilities. If you need an accessible room, try one of our other packages.